Workflowy is a list maker. There are lots of to-do list applications available – so why Worksflowy? Workflowy has many advantages, that makes it an ideal productivity tool for the entrepreneur. It is incredibly simple. Simply makes bulleted lists. The lists can be nested, and notes added. To give an idea of the simplicity of Workflowy and its interface – here is a screenshot. Workflowy lists are searchable. Tags can be added, such as #urgent. These can then be used as search functions. For example, if I organize a guest post with Michael Kawula on networking, I might tag the entry #networking #guest blog @Kawula. One of the most important considerations for me when adopting Workflowy, was that it is completely usable across multiple platforms. As a web-based app, the data is always up to date and the same whether you look at it in Windows, Apple or Android. Further, it is useable as an app when there is no internet connectivity and will automatically sync when you are next connected to the web. 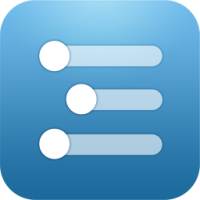 Workflowy lists, and sections of lists can be shared. This can be useful when collaborating on projects. The final benefit of Workflowy is that it is free. There is a pro version, but the free allows 500 items a month which is plenty for most. The only downside of Workflowy for a to-do list application is that there is no option to add due dates. If you would like more information on Workflowy, I have embedded a number of videos below. Enjoy.